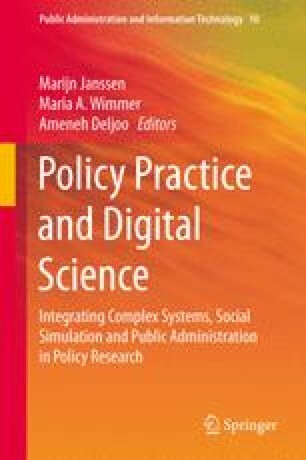 This chapter provides a starting point for better understanding how different approaches, tools, and technologies can support effective stakeholder participation in policy development. Participatory policy making involves stakeholders in various stages of the policy process and can focus on both the substance of the policy problem or on improving the tools and processes of policy development. We examine five international cases of stakeholder engagement in policy development to explore two questions: (1) what types of engagement tools and processes are useful for different stakeholders and contexts? And (2) what factors support the effective use of particular tools and technologies toward constructive outcomes? The cases address e-government strategic planning in a developing country, energy policy in a transitional economy, development of new technology and policy innovations in global trade, exploration of tools for policy-relevant evidence in early childhood decision making, and development of indicators for evaluating policy options in urban planning. Following a comparison of the cases, we discuss salient factors of stakeholder selection and representation, stakeholder support and education, the value of stakeholder engagement for dealing with complexity, and the usefulness of third-party experts for enhancing transparency and improving tools for engagement.